Be dark and mysterious when hide your face behind this superb looking Robot Mask. Included is a white mask which covers the face up to the forehead, tucks under the chin and features eye, nose and mouth holes. The mask is held on securely by an elastic strap which fits around the head for a long lasting wear. 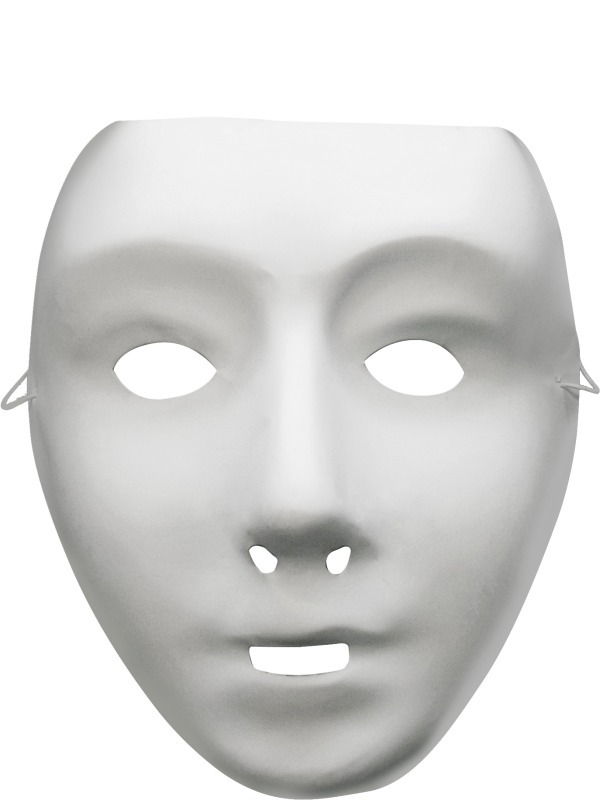 The mask can be decorated or left plain and added to a Phantom costume for a haunting costume idea this Halloween. Great for creating a spine chilling appearance at a Halloween themed fancy dress party.